Till July, Assam’s Golaghat district was experiencing drought-like conditions, when sudden waters released from a hydroelectric project in neighbouring Nagaland brought misery to 1,00,000 people without any warning in both the states. Golaghat (Assam): It takes about eight hours for the waters released from Nagaland’s Doyang Hydroelectric Project in Wokha district to reach the outskirts of Golaghat, an Assam town bordering that state. Two weeks ago, waters of river Doyang – a tributary of Brahmaputra – were released from the North Eastern Electric Power Corporation Limited (NEEPCO)’s dammed project to produce 25 megawatts of electricity, which inundated close to 10,000 hectares. Nearly 1,00,000 people living around the project in both Nagaland and Assam were affected, with some of the areas getting flooded for the first time. While locals from both the states say that no prior warning was issued by NEEPCO, the dam authorities say that both Assam and Nagaland were notified about the release of the water. What is even more unsettling is that before the release of the water, Golaghat district, situated downstream of the Doyang river project, was experiencing drought-like conditions with several villages adapting to a delayed sowing schedule for Kharif crop. The timeline of flooding across the length of Doyang shows that a lot of the damage could have been avoided if disaster management agencies had received updates from Golaghat district administration in Assam or their counterparts in Wokha district of Nagaland or even from NEEPCO. On the ground, the information about the dam’s release of water was mostly misreported. “Forget about local administration, even the local media misreported the release of the water. On July 31, there were confusing reports. One local channel said NEEPCO was all set to release more water, the others did not confirm it. We did not know who to believe and packing up a factory is no easy task, has additional costs. By August 2, our trays, used for oxidation of the plucked leaf, were under water. Our site office was swamped,” said Abhijeet Gogoi, the manager of Sanjiv Tea Limited’s factory near Dhulia Gaon, close to the banks of Doyang. A torrent of the river gushed through the compound and swept away the boundary wall on the midnight of July 31, added Gogoi. 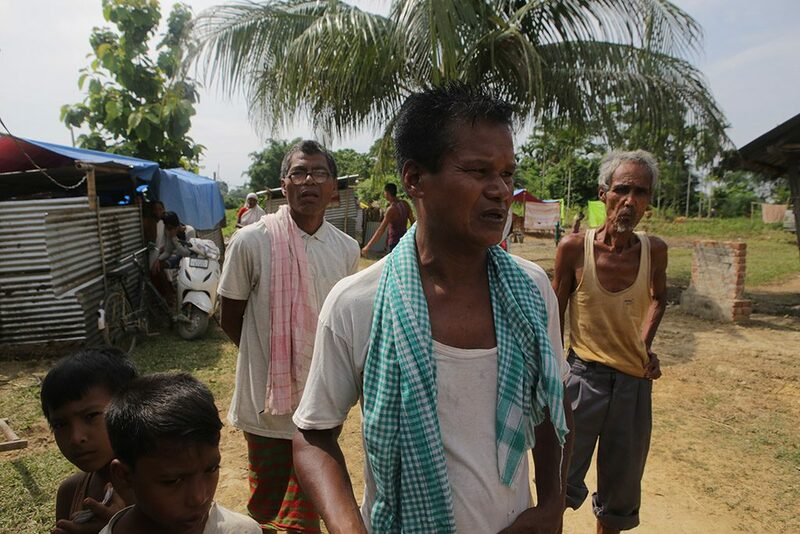 In Herheri village that comes under Ratanpur panchayat of Golaghat district – 60 km downstream of the Doyang Hydroelectric Project – after the first wave of the deluge which devastated more than 100 bighas on the morning of July 31, forcing 120 families to seek shelter in a school ground, locals sent two youths to Wokha district. “Earlier, a circle officer or any government representative or even the local police would announce when the dam was releasing water in case of heavy rainfall in the catchment area. But this time, there were no announcements. So after the first wave of floods, we sent two boys on a bike to keep us all posted about the next release from the dam. We did not want to take a chance,” said Biman Payeng, a resident of Mising Suk in Herheri village. When the second wave of water from Doyang hit on August 2, the school that housed the flood-affected went under water. The 120 families shifted to a stage used by Ratanpur panchayat to host cultural programmes. “Thanks to these boys, we were able to get updates which helped us prepare for the next wave of floods,” Payeng added. With a catchment area of 2,500 square km, Doyang Hydroelectric Project, commissioned in July 2000, did not seem to be prepared for an inflow of 1150 cubic metre per second. If one converts these figures to million acres per feet, a little over 54 acres of land would have one foot of water in a minute. The dam’s storage capacity is 370 million cubic metres. When NEEPCO was contacted on August 8, executive director of operations and maintenance, Bharat Chandra Deka said that a landslide dam had formed on Sidzu river, a tributary of Doyang, near the Chakabama-Pfutsero bridge in Nagaland’s Zunheboto district. “The landslide dam burst open. 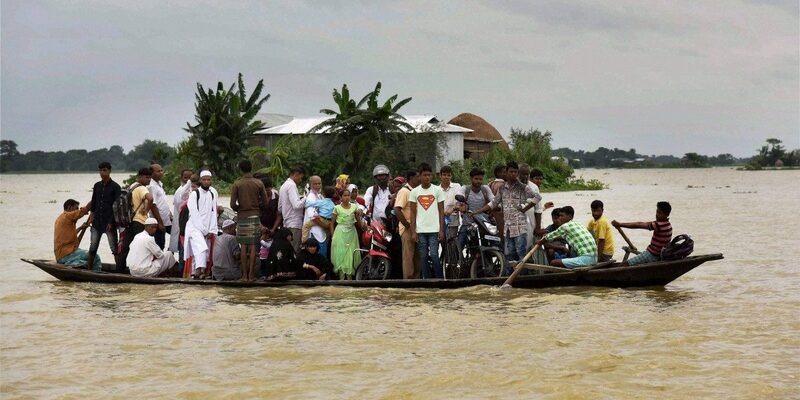 Add to that extremely heavy rainfall across 2,500 square kilometre which extends to Myanmar, the water just gushed in and we were forced to open the gates on July 27,” said Deka. In NEEPCO’s defence, the official said that a meeting was called on July 25 in which both Wokha district administration and Golaghat district administration were notified about the release of water from the dam. On the ground, the residents of Ruchan village and several other villages situated close to the hydropower project in Bhandari block of Nagaland’s Wokha district, were caught unaware. Jinario Lotha, chairman of Ruchan panchayat said ever since the gram panchayat came into existence in 1972, the village had not seen any flood. 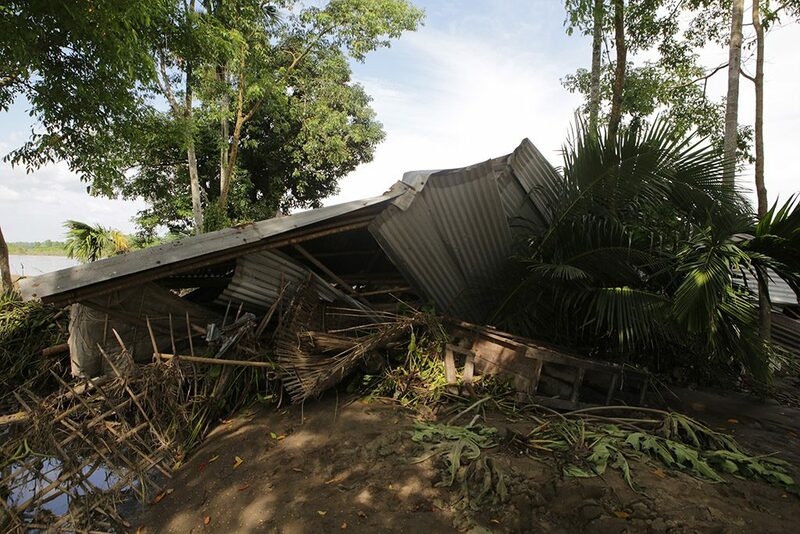 “From July 27, the waters from Doyang Hydroelectric Project damaged our crops, swept away several houses,” said Lotha. Lichamu Kikon, the secretary of Ruchan village, said that there was no prior warning before releasing the water. “They had already prepared a report on July 17 as we witnessed rainfall since the beginning of the month. The warning came two days after the waters were released on July 29,” he added. While the upper command area in the Wokha district was already flooded as early as July 27, Assam’s Golaghat district administration claimed that they did not receive the timeline for release of water when cornered by anxious residents on August 1. Facing protests from the residents represented by Jeepal Krishak Sramik Sangha (JKSS), a local farmers’ organisation based out of Golaghat district, Additional Chief Judicial Magistrate, Panchali Shyam said that NEEPCO did send a preliminary message but they did not specify when would they release the water. Among 116 villages in Golaghat district alone inundated by Doyang’s water, the Herheri residents claim although Doyang river was full on July 27, they did not expect that by July 31 there would be a flood. “There was rain earlier. But by July 30, everything cleared up. It is true that the water was flowing rapidly and river seemed full but we thought since it wasn’t raining at all and there was no warning from anyone, we continued to sow our fields,” said Dhanmaya Chhetri, a 60-year-old farmer from Nepali Chuk in Herheri. By 5 am, Dhanmaya Chhetri heard cries of her neighbour Rupa Sreshta. The Nepali Chuk neighbourhood was closest to the river (about 800 metres away), but between the river and the neighbourhood, there was a dried-up lakebed, which the residents used for farming wet rice. “Rupa was crying that her brinjal crop was under water. The dried-up lake had spilled over to our side of Paan bari (betel vines and trees). I imagined it to be a nightmare. Soon the pump set we had hired to irrigate our brinjal crop was under water,” related Chhetri. By 11 am, about 40 families from their Suk were trying to save themselves and their cattle from water. “The crops, the tractor, fertilizer, feed, our houses, beds were under water. My husband along with our helper from Bihar stayed up on the roof of our house that night,” Chhetri rued. Village residents said State Disaster Relief rescue teams only reached at 4:30 pm. Gaon burha Hare Krishna Mili of Ratanpur panchayat found it difficult to organise relief as the water quickly engulfed Herheri and three other villages in matter of few minutes on July 31. “We hardly use boats here. The release of water was so sudden that even using rafts made out of banana trunks (locally called bhel) were not enough while animals and people needed to be rescued. Had it not been for the some of our neighbouring villages in the higher ground, our people would have drowned,” said Mili. A local Anganwadi worker, Ira Dutta, was worried that a lot of children would fall sick because aid poured in slowly. 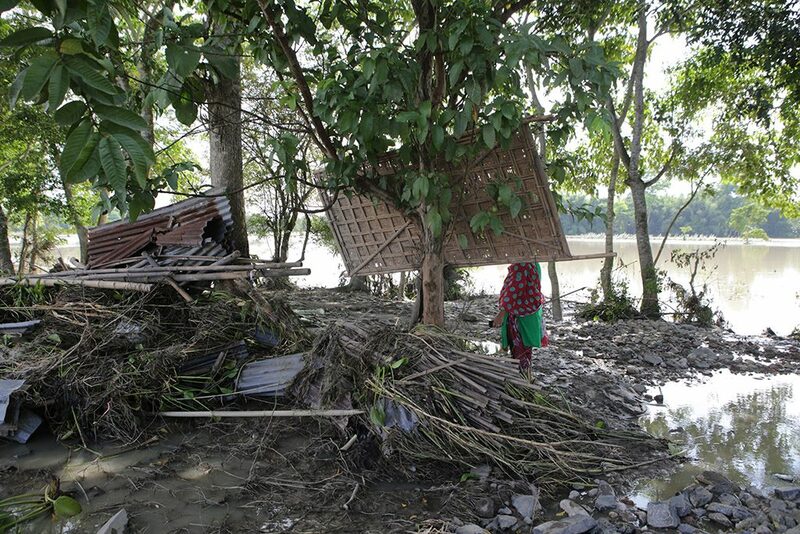 “Even if the water has receded now, there is three to four feet mud inside all the houses. You must have noticed the overpowering stench of dead plants and mud rotting in our villages. This will bring diseases. We need medicines and cleaning agents immediately,” said a teary-eyed Dutta, adding that she had not seen flooding in Ratanpur or other surrounding areas since 1986. Throughout the flood-affected area in the Golaghat district, residents have been living under a constant threat of being cut off from the rest of the state. At Rangajan, a wooden bridge inaugurated recently by the local MLA of Khumtai, Mrinal Saikia was swept away. The waters from Doyang had suddenly connected all the ox-bow lakes (mora xuti). These lakes are remnants of older river courses and are found almost parallel to several rivers. Since most of the water remains stagnant, years of eutrophication has led to an excessive flowering of water hyacinth. On July 31 midnight, a large mass of water hyacinth tore apart the wooden bridge that connected at least 15 villages. “We didn’t even get time to save our motorcycles and tractors when the water came in. When we ran towards the bridge on August 1 morning, we saw that meteka (water hyacinth) was pushing the bridge and there was no way we could stop it,” said Gopal Saikia, a local from Rangajan village who was helping fix the bridge. Further downstream in villages like Huruka and Geronto, local sand miners turned flood rescue into a profitable business proposition. “By 2 am on August 1, we had taken shelter in a two-storied building. But the cattle still needed to be rescued. In the absence of boats, some local sand miners from Kanaighat charged Rs 500 per cow and Rs 1000 per human. SDRF boats were there, but it wasn’t enough,” said Maina Ali. On the other hand, fears of not making it to the National Register of Citizenship (NRC)’s claims and objections process have caused deep anxiety among residents across the flood-affected region. “Most of the people could not save their documents as the water entered quickly. NRC’s claims and objections process is supposed to be starting soon (from August 30). Will the local administration give any relief to such people?” asked Ira Dutta, the Anganwadi worker from Herheri. Dutta said that 90% of the women especially from Gorkha community had not found their names in the final draft of NRC released on July 30. Across Assam, more than four million residents have not found their name in the final draft NRC. Meanwhile, organisations and village panchayats working in both Wokha and Golaghat region are planning to corner NEEPCO and both the state governments over compensation. JKSS convenor and cultural activist Someshwar Narah accused NEEPCO of maintaining a high flood level in the dam despite massive inflow. “This was deliberately done for generation of excess power from the turbines in the Doyang project. We have got details from Central Electricity Authority which shows that NEEPCO generated three times more electricity during the extreme rainfall event by compromising on dam safety parameters,” alleged Narah. Some of Narah’s claims could be corroborated with figures from Central Electricity Authority’s (CEA) website and the local MET department. According to a local MET official from Kohima, Nagaland experienced 348% excess rainfall in July 2018. Keeping in mind that the region has been receiving excessive rainfall in the months of July and August from 2016 onwards, the CEA had set a production target at 14.28 million units. The excessive rain across Indo-China including Nagaland, Manipur and Mizoram, started in the beginning of July itself, according to various weather forecasts including the Indian Meteorological Department. The target was met by July 20. However, CEA’s monthly report showed that the Doyang project produced 45.52 million units. “We have heard submergence and displacement while building dams. But this is something different. What we are witnessing is not just lack of coordination during floods caused by dams but also extension of submergence even after the dam is functional so that more electricity can be generated,” said Narah.